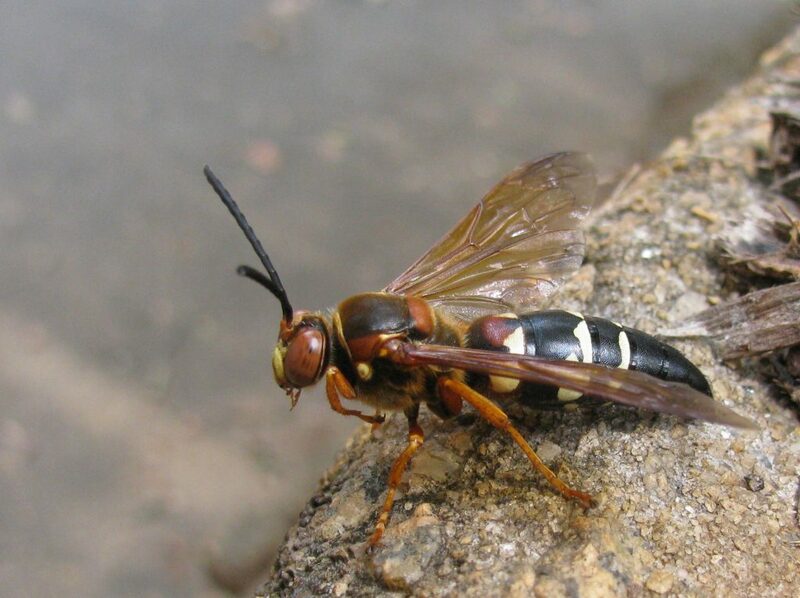 Cicada killer wasps are large (one and a half inch or longer) wasps with dark brown bodies and black abdomens with yellow markings. They are usually found in the Rocky Mountains of the US. Cicada killer wasps are ground nesters which prefer sandy or other well-drained soils where the queens dig tunnel-like chambers. Find out more!